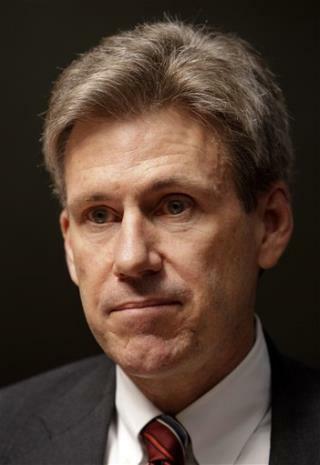 (Newser) – A team of FBI agents arrived in Benghazi, Libya, to investigate the assault against the US consulate and left after about 12 hours as the hunt for those connected to the attack narrowed to one or two people in an extremist group, US officials said. Agents arrived before dawn and departed after sunset, after weeks of waiting for access to the crime scene. The agents went to "all the relevant locations" in the city, a spokeswoman said, but the agency did not disclose what, if anything, they found. what a sad story rip to all the good people! hey fbi we all know obama did it! Did the FBI say" before it was safe ?" The administration was willing to send an ambassador and two body guards into Libya and expect them to conduct their affairs in an enviornment filled with extremists with hate and murder for the USA and these agents wanted to wait until it was safe before going in ? Hey, in case you haven't heard their all dead. Your too late. There's nothing but the sound of the wind blowing through an empty burned out shell of a building. Lets hope they didn't get their hands dirty rumaging through the blood stained documents they found. It's obvious that the FBI thought the area was dangerous and unsafe. After the fact. How come Hillary Clinton or Mr. Obama didn't think it was ? Where were the Marines ? Where were the Marines ? How many times do we have to keep asking ? Why is there a cover up. They want us to forget. Just let it pass. We owe it to the ambassador and his body guards to prosecute the guilty parties. Imagine the terror they felt. Hillery Clinton should have offered up her resignation three weeks ago. Have these people no sense of guilt or a conscience. The Washington Post reporters had to prove to Obama, it was safe for the FBI and the CIA, to go to Libya.... "What the f__K" doesn't Obama have any intelligent people, in his Intelligence Agencies? ... Nobody and I mean NOBODY is more incompetent than Team Obama... The Washington Posts reporters and tourists were visiting the site, where the CIA and FBI feared to tread... That's what you get when you use Drones, Cruise missiles, and bombs, and HIDE behind blast-proof walls.... the fear steps in.. Sam Jack said, "Wake the f__k up" Obama.